I’m sharing a great post from my amazing co-worker and friend, Jim & his wife Karen. 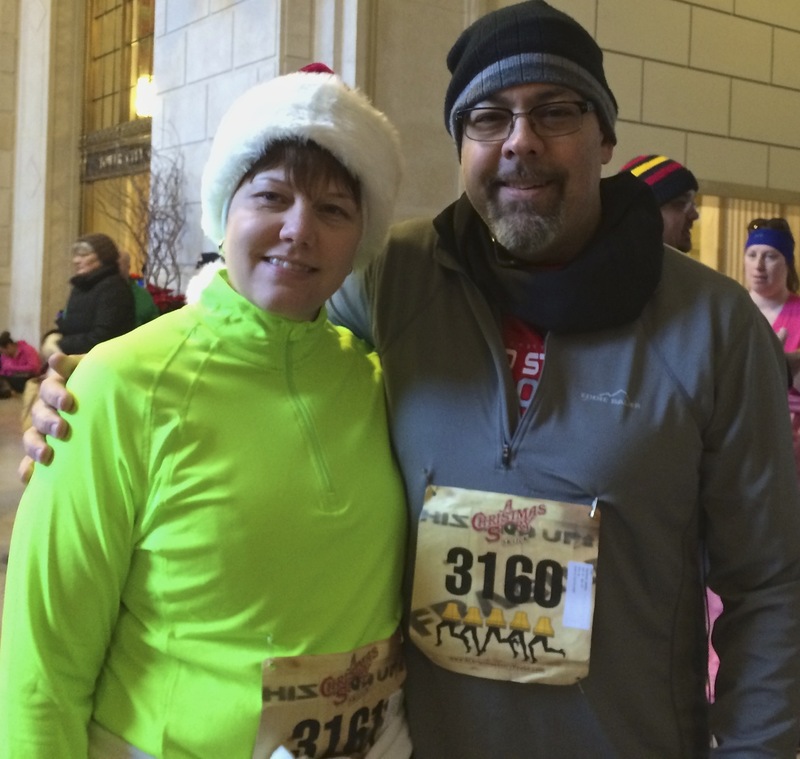 On top of being both urban school teachers and parents of two busy kiddos, Jim & Karen were also training together for the Rite Aid Cleveland Half Marathon this spring. They wrote this post for me before Jim suffered a nasty hamstring injury. He is out for the next 6-8 weeks and will miss the Rite Aid race, but is still helping Karen train by riding his bike along side her on her long runs. Now, that’s the spirit of a fighter and the sign of a great partnership! I’m proud to call these two my friends & was lucky to be there to see them finish their first race together. I know they’ll cross the finish line of a half together as well! poor eating habits while not exercising and then expect to live a happy, healthy life. 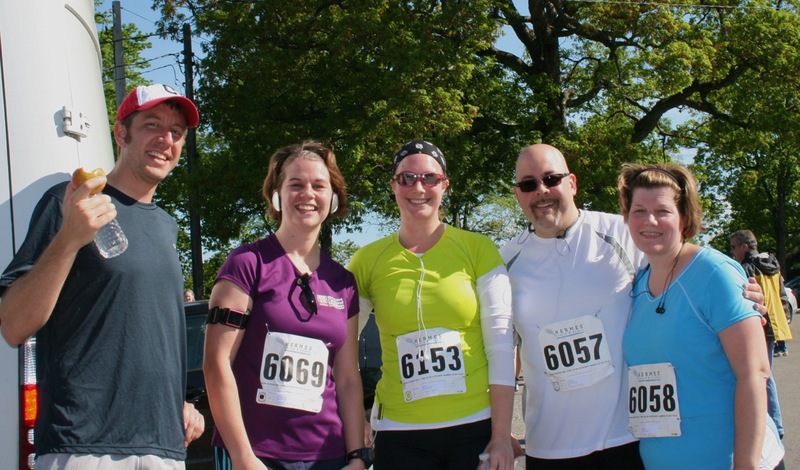 our “running” on the treadmill, we experienced the typical self-doubt of a beginner. questions that creep into our minds as we plan for, warm up, and go out for a run. challenge until you actually experience the internal debate yourself. even more of a priority, but also a challenge when running longer distances. began training in January using what is known as the Galloway Method. timer that keeps on our three minute/one minute routine (Runner’s Interval Timer). It’s a system that works fairly well for us. holding hands is just a bonus.